Did you know…your body has 5.6 litres of blood which circulates through your body 3 times every minute. In one day the blood travels a total of 19,000kms! 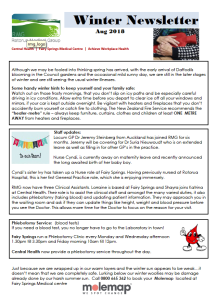 For other interesting facts, practice news and health tips check out our latest newsletter here.